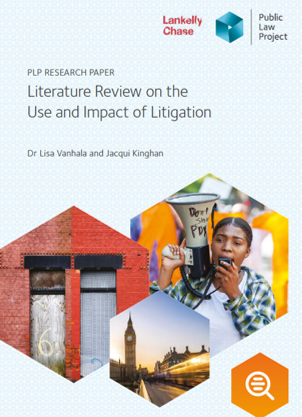 Dr Lisa Vanhal and Jacqui Kinghan have published a literature review that asks “Can the law effectively address systemic disadvantage rather than just solving one-off issues? Public Law Project is working with Lankelly Chase funded frontline organisations to explore the answer to this question. This literature review is produced as part of a learning partnership with leading academics at working closely with the project. You can learn more about the strategic partnership here.